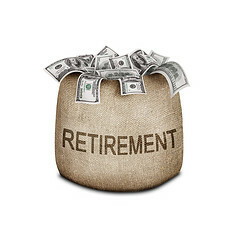 When it comes to retirement planning, there’s no shortage of advice to go around. Should you plow your money into stock, bonds, mutual funds, precious metals, real estate, or something entirely different? All of the above? None of the above? 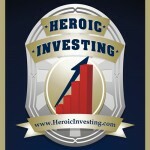 At Heroic Investing, we’d like to be the one to insert a reasoned response into the sometimes frantic debate and ask, “Have you taken care of the basics first?” More specifically, are you planning and executing a household budget, staying on constant alert for areas you can reduce expenses, and doing your darnedest to get the mortgage paid off before you sail into the golden years? Ignore these three items at your own peril, for they can seriously derail your standard of living in retirement, no matter how well your other investments are doing. Let’s take each item in turn. If you don’t know how much you’re spending each month, how can you ever hope to come out ahead in the financial game? We hope you do realize that your checking account isn’t a bottomless well. Eventually it will run out of money. Perhaps you’ve already experienced this in the way of overdraft fees. The initial step to setting a household budget plan involves nothing more complicated that tracking your expenditures for a month. This allows you to establish a baseline for how much it costs to live. With so few people paying cash any more, electronic bill paying makes calculating household expenses a relatively painless chore. With an eye turned towards creating a better retirement plan, it’s then time to review each category in your personal budget. It’s not unusual to be able to make major cuts without affecting your quality of life. If it seems too awful to contemplate analyzing the whole thing at once, take a single category each month, tear it apart, see if you can make reductions, and put it back together. Even fixed costs like car insurance can change from year to year. Solicit quotes from other companies periodically to see if you can get a better deal. If so, jump on it! This one is very simple. Consider doubling up on payments in order to get your house paid off by the time you retire. Heading into retirement without the onus of a monthly payment hanging around your neck can be quite liberating. It’s like getting a raise without doing anything. We’re not suggesting you limit your family’s food intake solely to Ramen Noodles in order to pay more on the house, but if it’s not too much of a financial squeeze, why not give it a shot?